Joyce and Timothy share their world. ← Flying around the eastern United States . . .
Jesus heals and gives new life . . .
What are the physical characteristics of the region of the Garasenes? What are the personal characteristics of the man who lived there? How did the demons recognize Jesus? What was Jesus’ attitude toward the pigs? 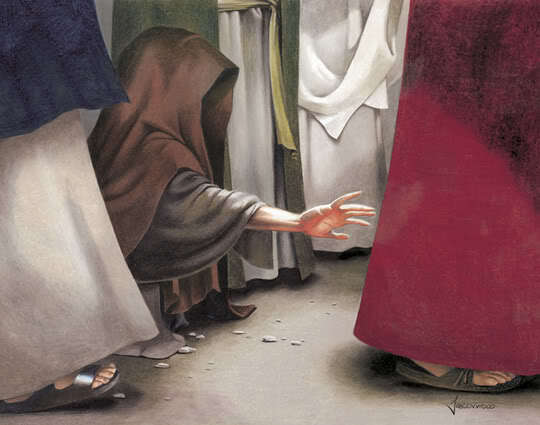 What was Jesus’ attitude toward the suffering man? What was Jesus’ attitude toward the people of the region? Why did the demons not want to be sent “out of the area”? Why did the people want Jesus “to leave their area”? When Jesus returns across the lake, how was he received? What does it mean to be saved? Is it different from being healed? Why does Jesus tell Jairus “don’t be afraid, just believe”? Was Jairus daughter really dead? Or, asleep? What does Jesus want us to learn from this passage? How does the woman who needs healing provide a model for someone seeking salvation? Why does Jesus heal some people and not others? Does Jesus still heal today? In what ways? This entry was posted in Ideas to think about, Wrestling with Truth and tagged healing. Bookmark the permalink.